I hear so many Sebians complain that they want something sweet to eat and find the diet boring. The problem is most Sebians do not take the time to research what is truly allowed. 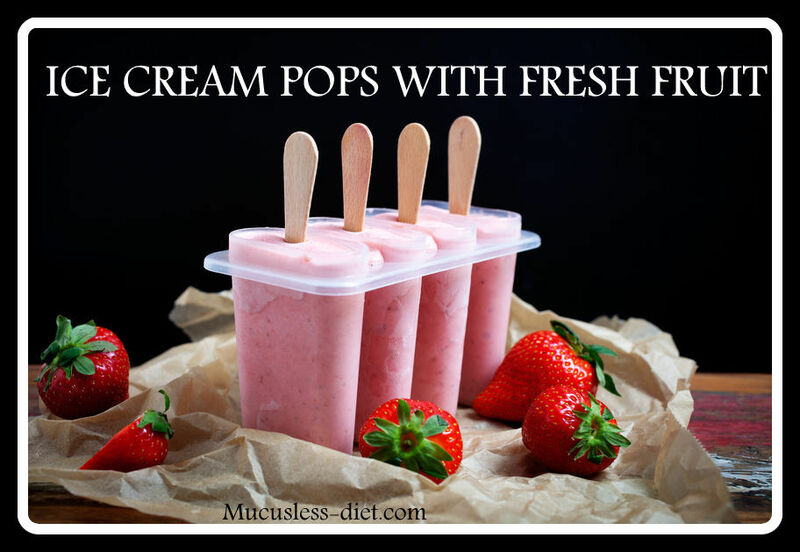 These very simple ice cream pops with fresh fruit are so simple to make. You need only 3 ingredients. The ice cream pops pictured is with bananas, strawberries and hemp milk. You can use any milk you choose, such as walnut or brazil nut milk too. For those who want a more fruity ice cream, you can add in orange juice. No sweetener is needed as the bananas are sweet in their self. In a food processor place the bananas and strawberries and pulse slowly. After the fruit is the consistency of ice cream, add in the milk to liquify slightly and make the mixture easier to fill the popsicle molds. Fill the molds 90% full and put the end sticks in. Freeze for at least 6 hours or overnight. You want the ice cream pops thick enough to hold the sticks. Do not make the batter too thin.